I've gotten past the first tax hurdle and back to development. I have the edit window all laid out and all the art created and have begun the process of stitching it all together. Based on a new design of the home grown class library I use I had to make a pretty big change to the way the window works. I finished that and have been putting it altogether and getting the editor to work again. I keep going back and looking at maybe rewriting this in C# or maybe doing something C++ .net with it, but either way it looks like it would be a complete rewrite and I thank that would just take a lot more work and I would rather move on to more projects. Technology is tough to keep up with. 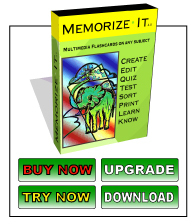 When I wrote Memorize-It for Window the first time it was done in cutting edge fashion. Since that time, there have been about 4 different APIs (Application Programmer Interfaces) pushed out by Microsoft and I'm sure if I chose .NET with XAML today it would be obsolete in a year just as if I would have chosen .NET with Forms last year. Memorize-It is actually layered very closely to Win32 which is at the lowest layer for all the other APIs that have come and gone over the years, so I'm happy with that decision even if it does cause some extra work. The good news is I didn't choose MFC a few years after I wrote the first Memorize-It because even though it got a recent update it is looking more and more tired and I'm doubting it will be supported forever. At least with Win32 I know they'll have a lot of problems ever dropping it completely since all their other technologies rely on it.